Dr. John Taylor is an associate professor of biology at Southern Utah University whose research centers on the study of bats living in mines and at Utah national parks. 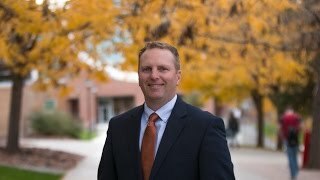 In addition to conducting research and teaching biology courses, Dr. Taylor is assistant dean of Integrative Learning where he supervises SUU’s innovative general education program, Jumpstart. 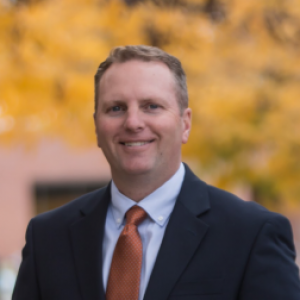 Dr. Taylor also has an extensive range of service in the state of Utah, involving science education, government committees on education, and working with the National Science Teachers Association. He serves as president of the Utah Science Teachers Association, which supports more than 1,000 teacher-members, and serves as vice chairman for the Zion National Park Forever Project, an official nonprofit partner of Zion National Park. In this capacity, he helps guide the operation of philanthropic endeavors, natural history education, and the general business, supplying Zion National Park with millions in external funding for park operations. An SUU alumnus, Dr. Taylor graduated with a bachelor’s degree in biology/zoology. He furthered his education earning a master’s degree in zoology from Brigham Young University and a Ph.D. in science education at Syracuse University. Previously, he taught general biology courses for Utah Valley University. The Utah Science Teachers Association is a group of educators with members ranging from elementary teachers, middle school teachers, and high school teachers to university professors and members of the science industry. The organization's goal is to better science education in the state of Utah. Designed and implemented a campus-wide assessment program using the CANVAS LMS. This program relied on the adoption of the AAC&U's Essential Learning Outcomes by the 150+ SUU General Education faculty. In one year's time, well over half of the faculty have successfully included the assigned ELOs into their courses and assessed the students using the new system. What's different about about Jumpstart? Everything. Imagine 50 students, 8 faculty, 34 credits, and 1 amazing educational experience. John Taylor designed and implemented an entire GE curriculum to become fully integrated within a one-year time span. Fellows are selected by the Service Learning Center and University Administration for courses that integrate service-learning components into their curricula in exceptional ways. Awarded to the top University science educator in the state of Utah as determined by the Board of Directors of the Utah Science Teachers Association. Awarded to the top professor exhibiting exceptional teaching, scholarly activity and service to the field. Selected by SUU Student Association and general student voting. Eight professors teach the Jumpstart General Education program on common core college classes with a spin: they do it together. Taylor said the theme of the year, Freedom, is broken down into sub-themes, the first entitled Me. Despite calls by many to improve general education, including a decades-long push by the Association of American Colleges and Universities, colleges have an incentive not to mess with status quo. That’s because general education courses are generally cheap to teach. “They’re treated as a revenue builder by most universities,” said John Taylor, an associate professor of biology and faculty fellow for academic affairs in the provost's office at Southern Utah, a public university located in the largely rural southwest corner of the state. Wyatt and a team of faculty members last year hatched a plan to reinvent how general education works at the university. Their solution, dubbed Jumpstart GE, began this fall with 43 students. It’s certainly a different approach. And while the experiment is too young to show any real learning outcomes, experts said the concept shows plenty of promise. This fall, Southern Utah University will begin its Jumpstart GE program, which will allow a group of incoming freshmen to complete their general education requirements in one year, a process that normally takes at least two years. It's a different approach to a time in college known for bottleneck enrollment, large classes taught by graduate students or contingent faculty, and little or no student-teacher interaction outside of class. "This is not the trend that we want at SUU, especially with these incoming freshmen," said John Taylor, provost faculty fellow at Southern Utah. "We want them to make a connection to higher education, to our institution, to where they see the value of their education and they want to stay." Outstanding high school students from across southwestern Utah gathered at the Centrum Arena on the campus of Southern Utah University for the 37th annual Utah Sterling Scholar competition and award ceremony Thursday evening. Students from Beaver, Garfield, Kane, Iron and Washington counties school districts were honored for achievement in the classroom in 15 categories of academic disciplines. "Each of the schools in these districts holds their own nomination process," said John Taylor, SUU provost faculty fellow, who served as master of ceremonies at the event. "They select the very best and brightest students. These outstanding students came to us and endured a rigorous selection process. Getting to this point is admirable, and it is a direct reflection of the quality of communities that these students live in. These students are simply awesome." This simple inquiry-based lab was designed to teach the principle of osmosis while also providing an experience for students to use the skills and practices commonly found in science. Students first design their own experiment using very basic equipment and supplies, which generally results in mixed, but mostly poor, outcomes. Classroom “talk and argument” is then used to determine how their experiments could be changed to gather more reliable data. The final assessment consists of both formal and subjective testing, requiring students to explain their design choices. Bat surveys at the monument have been going on for more than 30 years, but nearly all of this work has taken place from June through August, the peak time for bat activity (Kim and Johnson 2004; Johnson 2005; and Tyburec 2011). To identify optimal timing for pond maintenance, surveys needed to begin in early spring, when migratory bat species arrive at the monument, and continue until late November, when their activity sharply declines. Our intention was to determine whether some bat species use the ponds year-round or they only rely on the ponds in the hot summer months. We also wanted to know how much seasonal variation in use by different bat species exists. A unique biological laboratory experience was created that fused together biological content learned in a General Education introductory biology course with content pedagogy and clinical experiences. The intent of the course was to measure the participants self-efficacy levels and biological content knowledge through the use of pre- and post-test assessments and interviews. Seven freshmen pre-service elementary students were enrolled in a biology laboratory section that spent significant amounts of time learning biological content and developing age-level appropriate lessons to teach that biological content knowledge to elementary-aged children. The freshmen students were paired with senior pre-service teachers. These teams then traveled to participating K-6 elementary schools and performed a total of four Kid's College events. A Kid's College event consisted of the entire elementary school participating in three, thirty-minute science experiences with seven-minute breaks in between. This Voyager/Kid's College experience took place at four different elementary schools throughout the semester. Despite a reduced amount of biological content within the laboratory section, the Voyager Program freshmen performed as well as other education majors within the same biology lecture course. Additionally, the freshmen participant's self-efficacy and biological content knowledge were assessed at the beginning and end of the semester. The findings suggest that this method of pairing freshmen and seniors together in clinical experiences significantly increased self-efficacy and confidence in teaching biological topics and can serve as a useful model to teacher preparation programs seeking to incorporate clinical experiences into currently existing science courses. Non-majors course in biology emphasizing mechanisms of living systems and impact of biological problems on human affairs. Course is designed to foster critical thinking, problem solving and the application of scientific thinking in biology. Designed for non-biology majors seeking a basic introduction to human anatomy and physiology. Outlines the basic structure and function of the body from cellular to system levels. This course introduces Science Majors to the study of biology and the diversity of life. It provides fundamental knowledge of morphological complexity, physiology, development, environmental adaptation, and the evolutionary history of life on Earth. Natural history is the research and study of organisms including animals, fungi and plants in their environment, leaning more towards observational than experimental methods of study. Natural history and classification of amphibians and reptiles, including their diversity, distribution, ecology, reproduction, behavior, evolution and conservation. Study of the historical development of biology relative to personal philosophies of scientists and to social, cultural and technological factors by reading of science literature. Effective strategies for doing science in the classroom based on national standards for inquiry and the scope and benchmarks of biological literacy, with emphasis on science as a way of knowing. Intensive examination of evolution as the conceptual cornerstone of biology.